With the rising popularity of wireless technology, there is no surprise that home security systems have also caught up to the ongoing trends, where remote monitoring and smartphone compatibility is key to grasping the attention of potential buyers. Risco’s Agility 3 package is one of these options on the market, which offers modern solutions for homeowners and small businesses for enhanced security and monitoring. Agility 3 package comes with four main components: the wireless PIR camera detectors, a smartphone application, an integrated cloud service, and an alarm keypad. You can easily connect up to 8 wireless PIR camera detectors, which rely on the so-called “eyeWave” motion detection system. 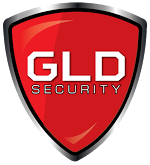 If the motion detection is triggered, the system sends out automatic notifications to the user – while taking still images of any suspicious events – asking for confirmation whether the alarm should be raised or not. With the wireless integration, these images are automatically uploaded to the cloud and forwarded to you via the smartphone application, enabling the opportunity for quick reaction to any events. Unless you confirm that the pictures were taken of an unknown person, the alarm is not raised in the remote monitoring station, which is responsible for triggering the process. By using your smartphone app, or accessing the cloud and confirming, you can raise the alarm instantly as you recognize an unfamiliar face in the images. The battery powered PIR camera system combined with the new eyeWave system is a solid and smart solution that keeps the number of false alarms extremely low, especially with the built-in user confirmation. As 8 PIRs can be connected to the system, it should be sufficient both for home and small business security purposes. The cameras also use infra-red technology, making them capable of functioning in the dark. 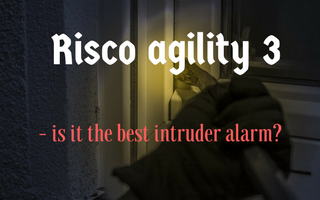 Risko Agility 3: The best intruder alarm? The only drawback of this package might be the QVGA picture quality, which is not the most cutting edge solution, as HD images might make a difference in some cases. However, QVGA is acceptable, while the smartphone and cloud connection offers tremendous convenience and enhanced usability. Risco Agility 3 is surely one of the best intruder alarm solutions on the market, when it comes to home or small business protection, as the cloud monitoring combined with the smart alarm system will surely do the job of keeping you safe.